Toyota has launched partnership deals with Snapchat and Spotify as part of a new effort to pitch the Aygo marque brand at a younger audience. Following the recent campaign launch of the new Aygo, created by its agency The & Partnership, Toyota has launched a racing video game, Aygo Kart, that uses Snapchat’s augmented reality lenses. The game works by responding to players’ touch, head movements and facial expressions as they race against opponents in a personalised Aygo car. 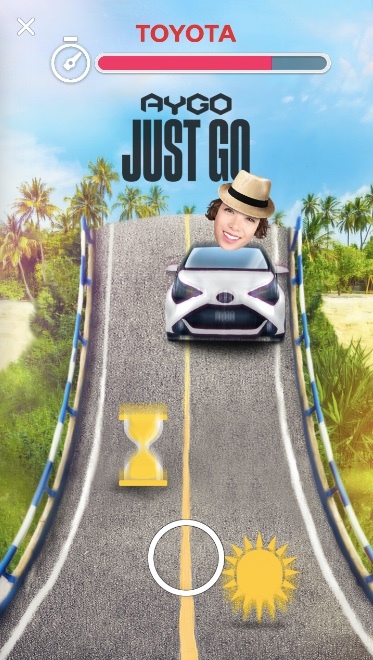 As well as the "Snappable" game, Toyota has designed a Snapchat Lens that follows a storyline from one of the Aygo campaign’s films for the "Just go" campaign that launched in July. In the film, an Aygo driver reacts spontaneously to the text messages he receives through the car’s Apple CarPlay tech, requiring him to choose between football with his friends or dinner with his girlfriend. In the Snapchat Lens, users move their heads left and right to make "Snap" decisions about what to do next. Toyota’s campaign on Spotify, meanwhile, is designed to celebrate and encourage variety in music, with listeners on Spotify’s free service targeted with bespoke ads based on their style of listening. 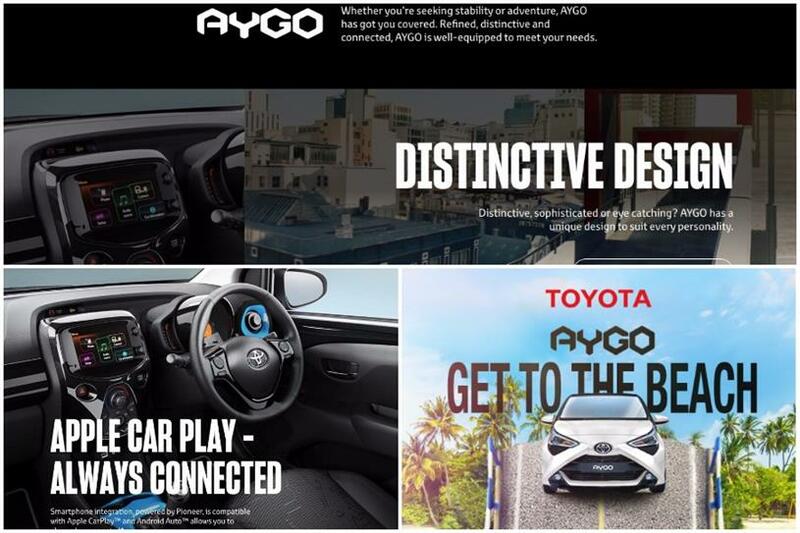 The ads link to an Aygo-branded hub that presents the user with a bespoke music playlist chosen for them. The Spotify partnership was negotiated and managed by M/SIX, The & Partnership’s media agency. The Aygo, which launched in 2005 with a one-litre engine, is marketed at a "young and urban" market, alongside the Yaris, its sister marque. Patrick Williamson, communications director at The & Partnership, said the "instant gratification culture" of both Snapchat and Spotify made the Toyota partnerships an ideal cultural and strategic fit for the brand. "As there are no likes or comments on Snapchat or Spotify, users face fewer interruptions and can be more spontaneous, playing into the campaign strategy." Williamson explained. "The design of both our Lens and Snappable executions allows for an exhilarating playing experience, while our partnership with Spotify surprises and delights users of that platform in equal measure".